Suppose you or your family were injured because of the carelessness of a “third person” as lawyers say, i.e., because someone else messed up. Suppose further that you are forced to file a lawsuit against that person and you need documents from his employer or from a corporate affiliate that is not a party to the case for tactical or legal reasons, e.g., jurisdiction or limitations of actions. Is the person you sued obligated under law to obtain and provide you those documents? 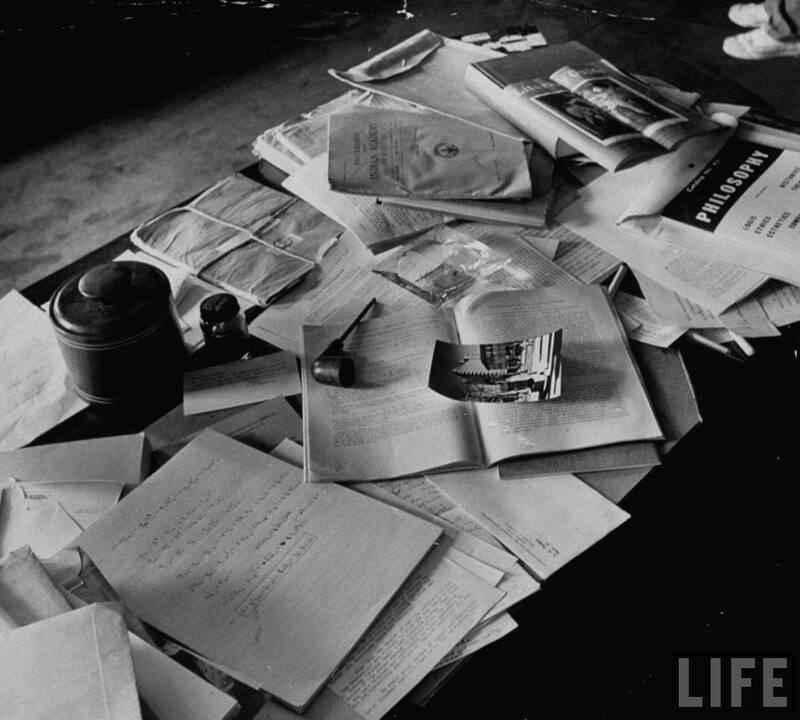 (The above is a photo of Albert Einstein’s desk the day after he died). A subpoena can be served upon the third party under Rule 45 of the Federal or State Rules of Civil Procedure. However, it may be less cumbersome to simply have your opponent obtain the documents from the third party, assuming your opponent party has access to the documents. New York ex rel. Boardman v. Nat’l R.R Passenger Corp., 233 F.R.D. 259, 268 (N.D. N.Y. 2006). (internal citations omitted). Tomlinson v. El Paso Corp., 245 F.R.D. 474, 476 (D. Col. 2007) (“‘Control’ comprehends not only possession, but also the right, authority, or ability to obtain the documents.”); Ice Corp. v. Hamilton Sundstrand Corp., 245 F.R.D. 513, 517 (D. Kan. 2007) (“Production of documents not in a party’s possession is required if a party has the practical ability to obtain the documents from another, irrespective of legal entitlements to the documents.”.